One of the most experienced credit repair companies in existence, Sky Blue has been in business since 1989 — that’s 30 years of experience in the industry. They’re known for being knowledgeable of the credit repair process while demonstrating a close attention to detail with each and every one of their customers. This work ethic is proven by the company’s A+ rating with the Better Business Bureau (BBB). There’s no way to fake that rating; it can only be earned if a company is truly committed to sound business practices and customer satisfaction. And in a field with so many potential scammers preying on innocent victims, having a third party verification of the quality of service is an important perk! Read on to find out more about Sky Blue Credit Repair and the services they offer. Then, you can make an informed decision on whether or not this company is a good fit for your needs. Unlike other credit repair services, Sky Blue only offers one plan to their clients. Rather than having to compare and contrast multiple plans and hope you choose the right one, you pay one price for the same services. You don’t have to worry about paying extra for services you don’t need because everything is all-inclusive. So what exactly do you get for the money? Let’s take a look. One unique thing about their business model is that they pick what items you should dispute after carefully reviewing your credit reports. This takes the burden off you to analyze your own credit reports and instead allows the experts to take control. There is no limit to how many disputes can be covered in your monthly fee, and the company is persistent. In the event that the credit bureau verifies any of your disputed items, they will go through the process again to try and get it deleted from your credit report. Also included in their monthly service plan is unlimited intervention between you and any creditors or collection agencies that have been harassing you. This is a nice perk that gives you relief from constantly dealing with these parties and takes a lot of negative emotions out of the process. Sky Blue’s experts guide you through the credit restoration process by creating a plan specific to your needs. You’ll get emails on what they think you should do to improve your credit and how to go about it. This is an extremely customized service, particularly considering that they have one of the least expensive monthly plans amongst its competitors. Sky Blue also allows customers to cancel their plan at any time so you don’t have to worry about committing to a hard fast contract. An additional perk is that you have a 90 day trial period and if you’re not satisfied with the results you receive, you’ll get a 100% refund back in your pocket. This is a great benefit to take advantage of, and also shows that Sky Blue is confident in its abilities to get you the results you want to see. Click Here to Visit Sky Blue Credit Repair Now! Still unsure about whether Sky Blue is right for you? Take a look at the answers to our most frequently asked questions about the company to help you decide who to turn to for help with your credit problems. A little information can go a long way in making the right choice! How does Sky Blue fix bad credit? 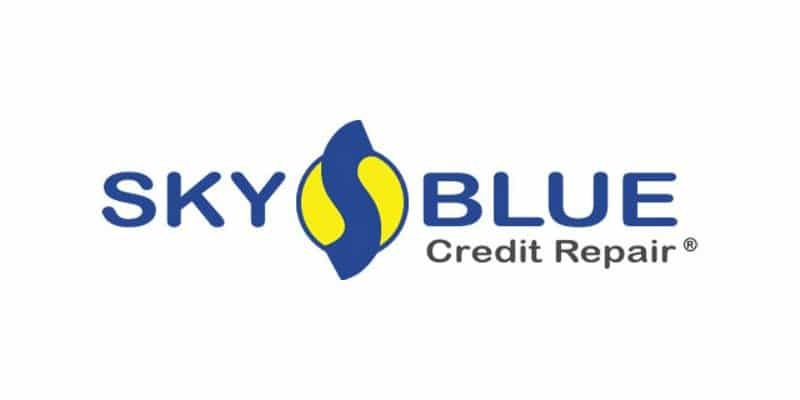 Sky Blue manages your credit bureau disputes for you – everything from filing the credit report disputes with professionally-worded letters, to following up to make sure both your creditors and the credit bureaus are following the law when it comes to protecting your right to an accurate credit file. They provide a list of action items and tips that can help you to improve your credit scores. They also diligently help you repair your credit, while also helping you set up strong financial habits to ensure your credit is sustainable in the future. Another great thing about Sky Blue is that they offer extra services if your case requires them, which is included in your original monthly contract price. These include debt validation, goodwill letters, and debt settlement and negotiation consultations. You truly have a strong team behind you when you work with Sky Blue. You will most typically start seeing results after 30 days, and ongoing improvement can be had month-to-month as they continue to work on your credit report. Since you get a 90-day guarantee, it’s smart to give yourself at least that amount of time to get results, otherwise, you can ask for a refund on your monthly payments. Once you’re happy with your credit score, you can cancel immediately with no fees or penalties incurred. Everything is contract-free to give you ultimate flexibility. How do I sign up for their credit repair service? You can sign up directly on the Sky Blue Credit Repair website or to ask questions before you sign up, you can call them directly at (888) 430-4544. A knowledgeable staff member will be happy to answer your questions and you can even get a free credit consultation to ask about specific details of your own personal credit. What kind of items can they help me with? Sky Blue handles all kinds of credit problems, and if there are errors on your credit report, even with something as significant as a bankruptcy or judgment, then these negative items can be removed. Remember, the Fair Credit Reporting Act (FCRA) guarantees you the right to an accurate credit file at each of the credit bureaus, regardless of your financial situation. Since they have decades of experience, they know all the ins and outs of the law to make sure you take advantage of every legal remedy possible. Do they have a customer satisfaction guarantee? Absolutely. They offer a 90-day satisfaction guarantee. If you aren’t satisfied within the first 90 days of service, just contact customer service before the 90 days are up and they will refund your subscription fees. It’s an easy, hassle-free process that doesn’t come with any hidden strings or complicated requirements. Do I need to worry about negative items coming back after they’ve been deleted? Negative items are rarely added again after deletion. The FCRA makes it difficult for creditors to add items that have been successfully deleted, and creditors know this so they rarely attempt to re-add deleted items. While a dishonest credit repair service may use unsavory techniques that are likely to reappear on your credit report, established firms like Sky Blue only use ethical practices with long-lasting results. After all, you don’t stay in business for 30 years by only providing temporary success! Does Sky Blue offer other personal finance resources? Yes, they actually have some great online resources for anyone to use, regardless of whether you’re a customer or not. You’ll find comprehensive how-to guides on important issues like budgeting, starting the credit repair process, increasing your credit score quickly, dealing with collections, and countless other topics. They also offer online tutorials and a blog with updates on credit, financing, and other financial hot topics. Which credit repair company is best, Sky Blue Credit Repair, Lexington Law or CreditRepair.com? 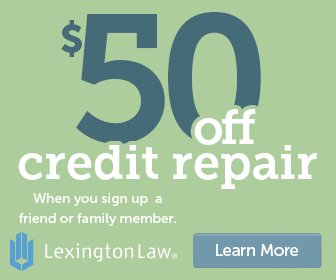 While we have Lexington Law ranked #1, CreditRepair.com ranked #2 and Sky Blue Credit repair ranked #3, it’s important to know that they are all great. The answer to which credit repair company is best depends on your unique needs. Everyone’s credit repair situation is different. The best advice is to look at our reviews of each credit repair service you’re considering and pick the one that has the best fit for your particular situation. You can also call each company and get a credit repair consultation for free and sign up with the one you think will do the best for you. What is the official mailing address for Sky Blue Credit Repair? They charge a low price of $79 per month. They do not have any additional tiers or specialized service. If they deem your situation needs extra services to achieve success, they perform those tasks at no additional charge. Do they offer any kind of family or couple’s discount? They do! Sky Blue is a great choice for couples seeking to repair their credit together. Couples can get their credit history repaired for $119 setup and $119 per month rather than paying $79 per month separately for each account. That’s a savings of nearly $20 each month. Besides, what’s more romantic than getting your finances on track with the one you love? What is Sky Blue Credit Repair’s phone number? You can call (888) 430-4544 to reach Sky Blue and get a free credit consultation. There’s no pressure to commit to a plan, it’s simply a great way for you to ask any specific questions you have to gather the information you need to make a decision. They’re open from 10 AM to 6 PM, Monday through Friday, Eastern time. The hours may seem limiting to some depending on your work schedule, but we think it’s worth carving out the time to see what Sky Blue can offer you in terms of specialized credit repair services. They have an exceptional customer service team that can take care of any issues that may arise. How do I cancel credit repair service? Sky Blue provides services on a month-to-month basis. If you are unhappy with the work or have achieved your goal, you can cancel at any time as there are no commitments or contracts. To cancel, contact customer service directly over the phone or via email. Sky Blue Credit Repair offers a comprehensive credit repair plan, particularly if you’re on a budget. While you can’t reach their staff 24 hours a day like other services, you definitely get access to a lot of services for the price — especially considering their money back guarantee! Click Here to Visit Sky Blue Credit Repair Now! Or call (888) 430-4544 for a Free Consultation!